This book exceeded my expectations. When I first started it, I had some doubts. The first few scenes didn’t feel natural: one of the opening conversations between Bryn and Devon (her best friend) felt very formal. I’m still not sure what the deal was with the first few pages, but as I got into the story I quickly left behind all my fears about the book not living up to my expectations. I think its one of the most intricate plots I’ve read in a young adult novel in a long time. There are several twists and turns and layers that aren’t peeled back until the end. As the plot starts unfolding, believe me, you won’t be wanting to put this book down. It isn’t just the plot that keeps the book moving, either. The characters are wonderful. One of my favorite characters was Callum, the Alpha of the pack. He was fascinating to try and figure out. He is one of the main reasons the story has so many layers. Bryn, the main character, was also a lot of fun to read about. Her situation: being a human and so involved in a werewolf pack, was so original. 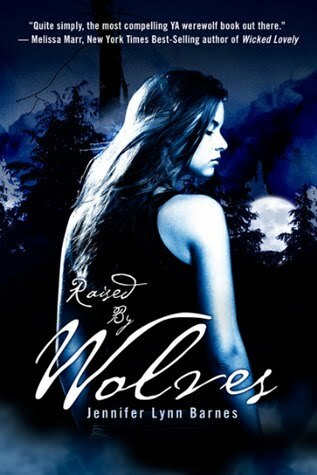 And of course, as the book unfolds her place among the werewolves becomes a main focus and the way things turn out is pretty surprising I think. Bryn and Chase’s relationship was a little confusing at first. Normally I can’t stand when characters come together virtually out of nowhere and are all of a sudden part of an intense relationship. However, the way things happen between Bryn and Chase just work for some reason. Basically everything about this book just works. I definitely recommend it! I’m looking forward to the next in the series, Trial By Fire, which will hopefully come out sometime in 2011. I feel like you are reading all of the books I want to read in front of me! No clue when I am going to get to this one, also not gonna lie I was skeptical about it at first but now am psyched!! Just got this one. I'm so excited to read it, especially since you liked it so much! I'm glad you thought the characters and the plot were great! Thanks for the awesome review! Can't wait to read this one! Now I really want to read this! Your review is fantastic! Thank you so much for the recommendation, it's going on my wish-list!